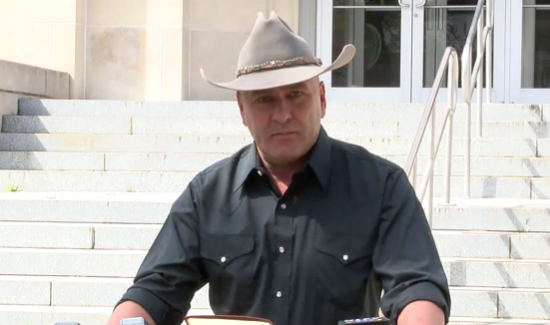 Captain Clay Higgins—the popular public information officer whose tough-talking threats aimed at a local gang earned him both praise and criticism after they went viral on the internet—has resigned from the St. Landry Parish Sheriff’s Office. Higgins said his decision was reached after Sheriff Bobby Guidroz gave him orders he could not follow. The sheriff’s office received backlash due to the video, which was released on February 17, from the ACLU and several other community organizations. A representative for the St. Landry Parish Crime Stoppers board told KLFY Higgins will no longer be the spokesperson for Crime Stoppers. Higgins said in the news conference that he would remain a spokesperson for Acadian Ambulance. Sheriff Bobby Guidroz sir you are a spineless coward afraid of your job you should have backed Captain Higgins 100% but no you let the racist blacks in your community dictate how the law will treat those brain dead pos in your backyard I for one hope they deal you a world of misery !!! Capt. Higgins had the support of the black community and the law enforcement community all but you you should be ashamed of yourself !! Hope you have a crappy day !! !